Let's go old school. Send a card. | The House of Martins The House of Martins: Let's go old school. Send a card. Let's go old school. Send a card. I have a new obsession. 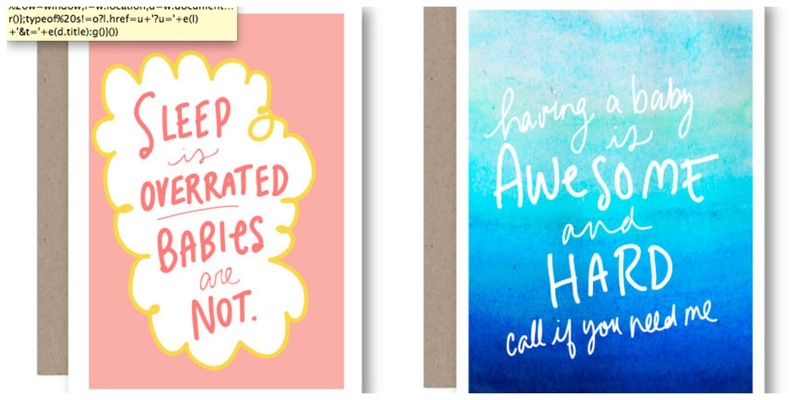 Greeting cards. 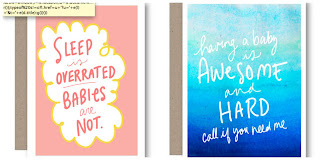 I have found so many cute original cards that I am now stock piling for *just* the right occasion. So like any good blogger, I thought I'd share my obsession finds with you! My first shop to highlight is MODbyMel. She's got a lot of totally original cards - but the two I really fell for (and immediately bought) were Sleep is overrated. Babies are not and Having a baby is awesome and hard. Call if you need me. Because both of these statements? 100% truth. I can't think of any weddings I'll be attending soon... but this "Your like adults now" card would have been perfect for me to have a few on hand back when I had 5 weddings every summer to go to. Also from LostMarblesCo - is this funny "Congrats on Escaping" card for when your cubical buddy gets a new job before you. Don't act like you don't know what I'm talking about. I'm a Gilmore Girls fan so this 6-pack from ClassyCardsCreative is great. My favorite is "If your going to throw your life away, he better have a motorcycle." If you were more of a Friends fan - they have a pack for you too. 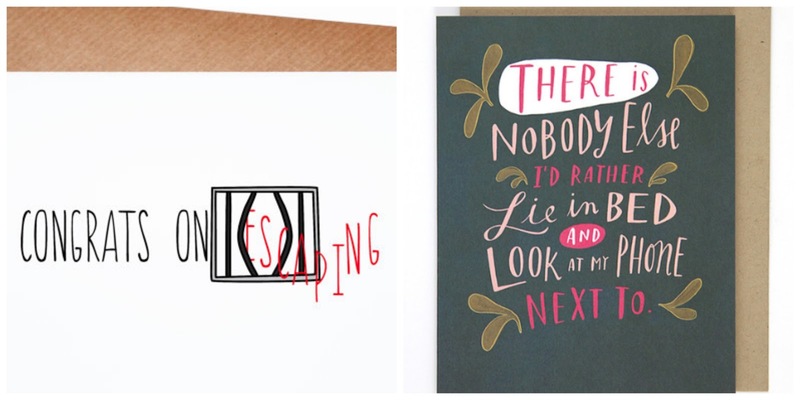 Emily McDowell has some great cards... I love her style. My favorite is "There is no one I'd rather lie in bed and look at my phone next to." Because, ya. We all do it. She also has a great checklist to apologize to your moms and dads for all the things you did. Ok, I could go on and on. I ordered more cards - but I can't share them all because some of my most loyal readers just might be receiving them. And I'd hate to spoil the fun. Any card shops I need to check out? Please help feed my addiction.